Seasonal flu vaccinations will be available to all County employees starting Sept. 19. All employees are encouraged to take advantage of this free benefit. 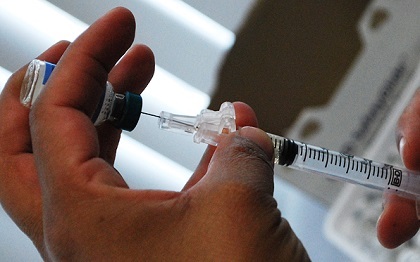 Flu shots will be available at 20 County worksites around the region. No appointment is necessary, but employees will need to show their County ID badge. While it may seem early to think about your annual flu shot, the Centers for Disease Control and Prevention recommends getting the vaccination as soon as it’s available. Getting vaccinated before the start of the flu season gives the body a chance to build up immunity to the virus before it begins spreading in the community. If you have concerns about the flu shot, please see this story from the County Immunization Program debunking common flu shot myths. Find the full schedule on the Department of Human Resources’ Employee Benefits Division page.